As we are about to enter into a new season, I encourage you to not give up now for He has brought you this far, and He will never leave you. Put your trust in God, and in His Word. Do not lean on your own understanding, and do not put your trust in man. Be encouraged, and heed to His Word. Let The Word of God be your everything. Let The Word of God be your Light, and shining Armour. Carry His Word with you everywhere. Brethren, do not lose hope. Jesus is closer than you think. Things will get worse in this world, but do not be afraid nor dismayed. Continue to stand for righteousness. The church must experience the raw power of God. There must be evidence of His power in these last days. He is a miracle working God. Please remember to pray for the families who lost their loved ones in the Charleston tragedy. We must pray against the spirit of premature death. You shall live and not die, but live to declare the Word of The Lord. You shall surely not die before your time. Justice will most certainly prevail. I pray for a discerning church. I pray for a loving church. Where there is love there is unity, and where there is unity there is power. Let the power of God overflow in the body of Christ. Let us continue to pray for our brothers and sisters in Christ. The church is in need of intercession. Don’t wait until something happens before you pray. No. Pray at ALL times. The church must pray. Remember the church did not intercede when Steven was persecuted by Saul and stoned to death, but when Peter was in prison they remembered to pray and he was set free. There is power in prayer. Prayer heals, saves, and delivers. Don’t be a compromising Christian, don’t compromise His Word. The Word of God never changes. So if you change don’t expect the Word of God to change along with you. No, I’m afraid God does not work like that. You’re either in or out. Hot or cold. Saved or unsaved. God’s Word can never change, can never compromise, can never be contradicted, can never be confusing. Christians must stand for righteousness in these last days, and Christians must operate in the full power of God. There must be signs, wonders, miracles, and healings taking place. An overflow of His power must be evident. Salvation must be preached. The body of Christ must be united. The church must love, the church must intercede, and the church must be encouraged. In these last days the church will face persecution, and during this time the church must stand. However, instead of the church standing in times of persecution, it is taking the easy way out. The church is compromising. Be careful that you are not apart of the compromising church in these last days, it has been prophesied in revelation. 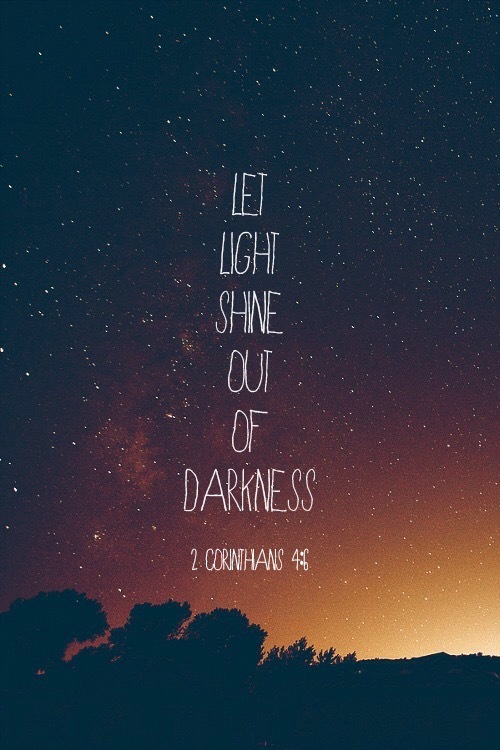 Let His Light shine through. Don’t dim out His Light by compromising with the world. The world needs The Word. The Living Word, Jesus. Stand, and be rest assured that The Lord is with you. Don’t worry. When you know who you are in Jesus Christ, you will not be afraid. He has given you the power, the dominion and the authority to overcome the works of the enemy. Never underestimate the fullness of His power. I’m telling you The Lord is more than able. Be encouraged and don’t give up. The same God who saw you through this month, is the same God that will see you through this new month of July. God is faithful and God will surely bless you.😊🙏 Repent for The Kingdom of God is at hand. God is love. God hates all sin. He will judge all who do not repent. That is the undiluted truth. Sin has no place in heaven, the only place for sin is in hell. Please repent and turn away from sin. All sin is sin. Sin is evil and is of the devil. Sin cannot be changed to righteousness. Righteousness is of God. Sin can never be changed to suit you or the modern world. Repent, The Lord is merciful and His grace abounds. Repent, for The Lord is willing and ready to receive you. Repent before it is too late. He waits on you. He loves you. God bless. 😊❤️🙏 With Jesus you are more than able to resist temptation, and overcome sin. Hell is for eternity. Hell is real, you don’t want to go there. Repent, life on Earth is short. Life in The Kingdom of God is eternal. God promises you eternity, that’s something no man can give you. Men and women of God are often rejected and persecuted by the world. Worldly men and women are congratulated and celebrated by the world. Christians are not of the world, Christians are set apart. You have every right to question the believer who loves the world more than they love Jesus. God so loved the world that He gave His only begotten Son, that whosoever believes in Him shall not perish but have everlasting life. Lovers of Jesus shall not perish. Christians ought to give themselves away to The Lord so that they can be used for God’s glory, and bring salvation to the lost world. That is love. Love is sacrificial. A Christian must first die to self. A Christian must reject the lusts of this world. You have every right to question the believer whose friend is satan. Men and women of God are often rejected, and persecuted. It is very rare for the world to receive men and women of God. satan hates Christians. satan does not embrace Christians. 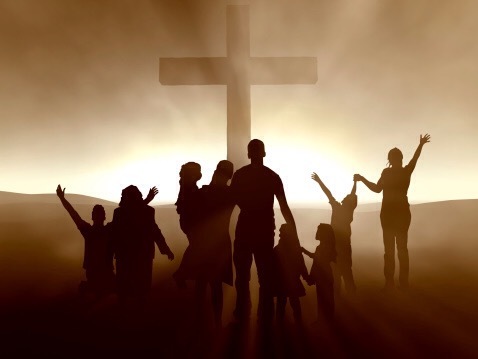 God loves His creation, He loves the people He created, He loves the world He created, God hates the sin that satan has infected into this world, and He hates the sin that satan is controlling His people with. God desires to convict the world so that they can receive salvation and become born again. Once His people His creation receive salvation then they are born again into His Kingdom, and become the adopted sons and daughters of God. Christians are born of His Spirit, and have become the righteousness of God. A Christian that walks in the flesh is not born of the Spirit of God. There are many today, lukewarm Christians. Make the decision today give your life totally to Christ and follow Him. There’s no excuse for lukewarmness in these last days you are either in or out. There is no room for compromise. Christians give your lives to Christ once and for all! This is what we need to be seeing in these last days. Evidence of His power amongst the children of God. Christians on fire for The Lord. Christians that reflect the life of Christ. There must be a revival in the body of Christ. There must be a revival in the body of Christ. Christians must live to please God and not the world. Stop trying to get the world to like you. Christians focus on bringing Jesus to the lost. The world needs salvation. Repent, pick up your cross and follow Jesus Christ. The last day Christian better stand for righteousness. All sin is sin. Sin can never be love. God is love. God taught me that I must not give my opinions, my opinions are worthless, of no value when it comes to the Word of God. The Word cannot be argued with. Therefore, if you ask for my opinion concerning the Word of God I will simply give you back The Word of God. Do with it as you will, but please do not twist His Word, after all I’m sure that He will open up your eyes of understanding. Lukewarm Christian, don’t expect to hear anything from God, don’t even expect to understand His Word because you are mixing the world with The Word. God most certainly did not, no the laws of this world did and you believed, little did you know that you’ve been deceived. Lukewarm Christians make excuses for EVERYTHING that contradicts The Word of God. They love to argue. God judges sin. He will judge the sin that I do and He will judge the sin that you do. The only One without sin is Jesus Christ. He is The only Perfect One. You and I were condemned to hell fire before Jesus died on the cross to set us free. You say only God can judge me, who are you to correct me? Do you even know what it means for God to judge you. Blindly, you rebuke your brethren for correcting you in love. You get all defensive only because you want to continue to dwell in sin. There is now no condemnation in Christ Jesus, yes there is now no condemnation for the sinner that repents!!! If you do not repent you will be condemned. Lukewarm Christians have NOOO understanding whatsoever of Truth, because they confuse God’s Truth with the lies of satan. Sin is the cause of condemnation. God’s love makes no records of wrongs when we repent. REPENT!!!!! And stop making excuses for sin. Too many lukewarm Christians twisting the Word of God and giving useless opinions. Be quiet. Lukewarm Christians don’t have a relationship with Christ, they do not know Him. Lukewarm Christians easily say “Yeah I’m a Christian”, but they do not want to be Christ like they’d rather be like the world. Too many lukewarm Christians, where are the last day Christians? We must arise, and we must stand for righteousness. Gosh it’s so so so annoying when supposed Christians are saying that this is a sin an this one isn’t a sin. Excuse me?! This lukewarmness has got to go. If you say you’re a Christian but you don’t know God, then please don’t go around giving your assumptions and perceptions of Him. Sit down, be quiet, and get to know Jesus Christ The King that’s the only way. To get a revelation of who Jesus is, you have to listen. Lukewarm Christians believe that by saying “I’m a Christian, well then that must mean I’m getting into heaven.” Wrong it doesn’t work like that. Repentance is the key to becoming the righteousness of God. Last day Christians as long as The Holy Spirit leads you, then you have every right to rebuke in love. Last day Christians you have every right to say God hates all sin, and if the sinner does not repent then they will be eternally condemned. Lukewarm Christians sugarcoat. Last day Christians speak the mind of God. Lukewarm Christians are loved by the world. Last day Christians are rejected by the world. Lukewarm Christians compromise, contradict, and confuse The Word of God. The closer we are getting to the end the more you will know who is who, that’s if you have the Spirit of discernment. You see, there is no time to play games with God anymore. Jesus is closer than you think. Do you really want to be left behind?Lukewarm Christian repent before it is too late. The Truth is you don’t know who God is if you mix the world with The Word. In these last days stand for righteousness. Speak The Word of God. Your opinions are simply of no use when it comes to The Word of God. The world cares for your opinions. God does not, and He does not need to. He is not a respecter of persons. His ways are higher than our ways, His thoughts are higher than our thoughts. The enemy is sweet talking many to hell. The deception is real. The Truth is God loves you, but He hates sin. He hates all sin. He will never accept any sin that is against His Word. He loves you so much that He sacrificed His only begotten son to save you and I. All you need to do is repent, and turn away from that sin which condemns you to eternal damnation. That’s what satan wants, he wants you to burn with him forever. God does not want that, and so He intercedes for you and He is giving you chances many chances to repent. Repent, and turn away from sin. Stand for God’s Word. Stand for righteousness in these last days. God bless. The last day Christian cannot help but to speak The Word of God. The Word of God is like a fire that cannot be tamed, nor easily quenched. The Word of God is our greatest weapon against the works of satan. Be careful of false doctrine concerning the end times. Many are coming up with false interpretations and theories, and they want you to get in on it. If you don’t, then they get mad. Yes there will be signs, we must be discerning. He says watch and pray. If you tell me that you know the coming of The Lord I will ignore you, I will not entertain you at all. He says no one knows the time nor the hour. I remember I was watching a few videos on YouTube regarding the end times and it was interesting but it had no biblical substance too many opinions, and not enough Word it made my Spirit uncomfortable. So then I came across a video about a lost book in the bible.😳 Did God forget to write a book in the bible? I do not believe so. Erm I believe that if there’s an extra book in the bible, God would not have forgotten about it. He says it clearly if there is. Please be careful of what you watch and listen to, and if your Spirit does not agree then that should be a sign. Be careful not to get yourself into useless arguments. If it’s not in His Word then last day Christian you have permission to remain silent. You need not answer everything. Let your yes be yes, and your no be no. Last day Christian speak The Word of God. Free will = your decision.